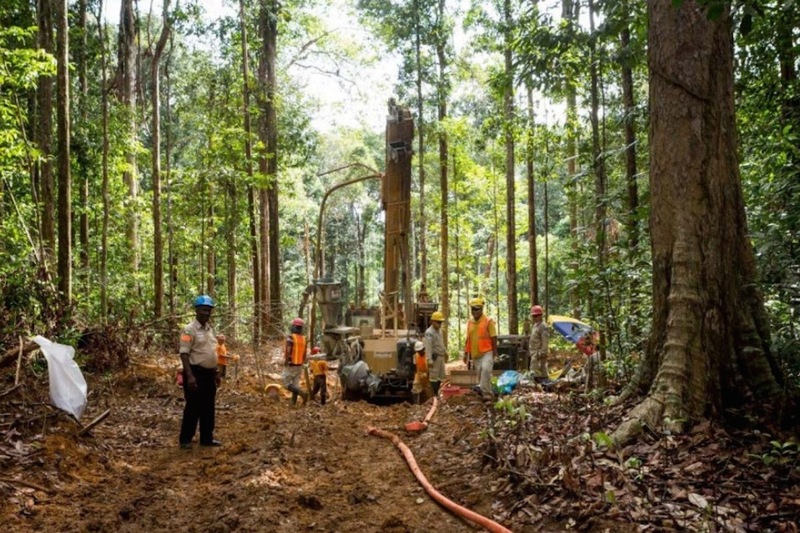 An exploration update from Troy Resources has delivered some good news for investors, with recent drilling making the first ore-grade hits outside the Karouni mine resource area in Guyana. The Perth-based gold producer has been drilling a number of targets in the historical fields around the Smarts and Hicks open pits that feed the recently commissioned Karouni gold mine. The strong progress made with recent exploration is welcome news for the company, which suffered a production hit late last year after a wall collapse in the Smarts open pit. Rebuilding production has been the top priority in recent months, but Troy has also been busy with drilling programs to open up the potential of the historically gold-rich area. Since January, activity has been split between close-spaced RC grade control drilling at the Smarts deposit and brownfields drill testing of Goldstar, Dominica Shear, Norby and a number of IP-generated targets. Goldstar is the most advanced target, situated about 5km northeast of the main resource area on a parallel shear zone. Drilling over a 2.3km strike length produced multiple hits, with results including 13 metres at 2.04 g/t gold from a depth of 58 metres, including 7 metres at 3.31 g/t. Other results included 4 metres at 3.34 g/t from a depth of just 37 metres. Drill spacing ranged from 140 metres to 280 metres, with follow-up infill drilling now planned on the newly identified hot spots at Goldstar. At the Dominica Shear target, about 2km northwest of the Smarts deposit, Troy have begun a first-pass drill program of 38 holes over a 6km strike length. Assays are still pending, but results received to date include 1 metre at 5.3 g/t from a depth of 53 metres. Follow up drilling will be planned after all results had been assessed. Encouraging results were also reported from the Hicks SE target, which is the southeast continuation of the shear hosting the Karouni mine deposits. Ten holes were drilled for a total of 845 metres, with the best results so far including 4 metres at 1.4 g/t from 59 metres.